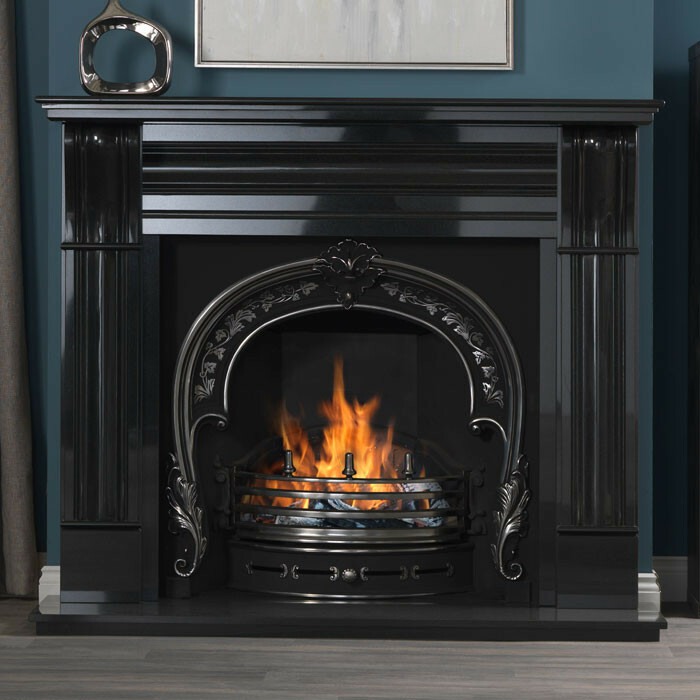 The Gallery Dublin Corbel 60" Black Granite Fireplace with Fitzwilliam Cast Iron Arch consists of the Dublin Corbel 60" Black Granite mantel, Fitzwilliam cast iron arched insert with cast back, 60" x 18" hearth and optional gas fire, or solid fuel kit kit for real fires. 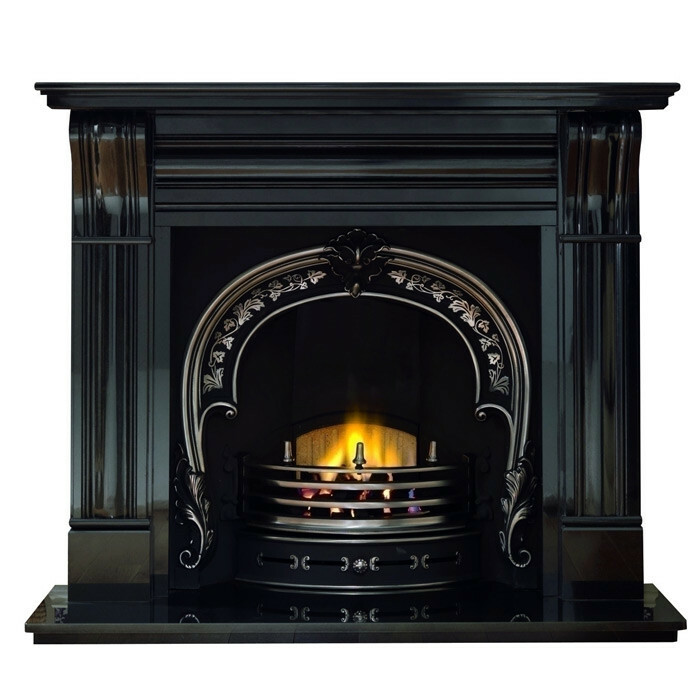 Inspired by early Victorian fireplaces, the Fitzwilliam cast iron insert has a broad fire chamber with ornate decoration around the opening. The Fitzwilliam fireplace insert is made from solid cast iron, with the finishing processes being carried by highly trained craftsmen. 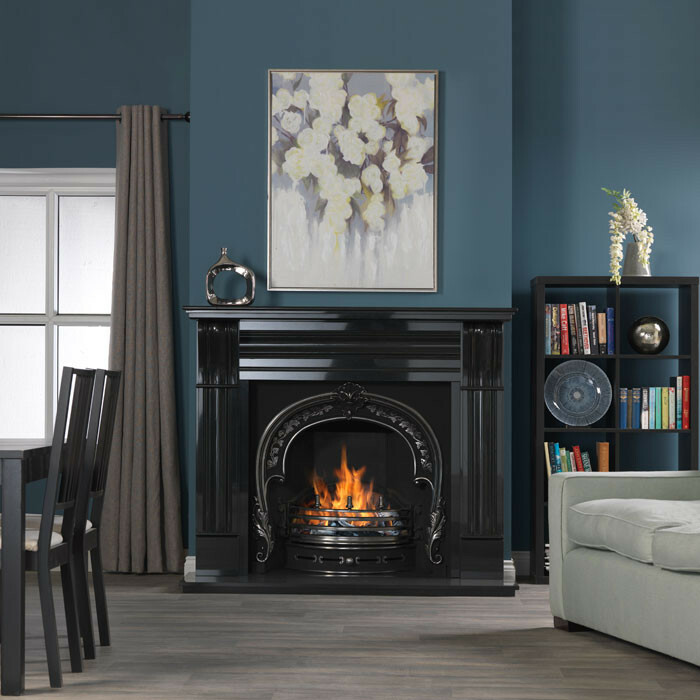 The incised corbel mantel shelf supports of the Gallery Dublin Corbel 60" Black Granite fire surround make it a popular choice for traditional interiors.